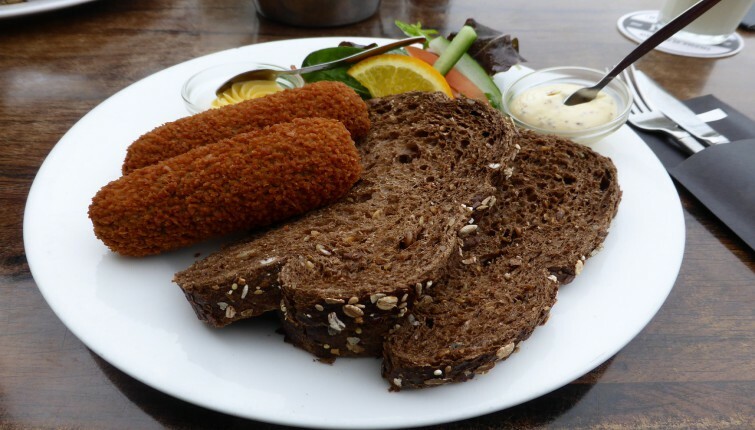 Irish brown bread is that gloriously chewy, nutty, slice of dark perfection served with a deeply rich seafood chowder or a bowl of beautiful prawns. To me, Irish brown bread is also known as the food of the gods. Slathered with Irish butter and chewed slowly, the flavour of the bread complements virtually anything it is served with. Seafood plates are enhanced when you eat them with Irish brown bread. Irish black butter or a simple homemade jam takes on a new dimension when heaped on bread and butter. Ah Ireland, with its traditions held close and the memories of the lovely fragrant bread baked by your mammy, hot and fresh from the oven, a nearly daily treat. Well, I’m sorry to say this, but no, brown bread is not actually Irish. In fact, bread that uses soda was invented by the indigenous people of north america. Now before you get on your high horse and start throwing the insults, please trust me when I say that Irish brown bread is by far my favourite. The tradition of brown bread and the fact that it is so culturally engrained in the Irish food lexicon have made it the superior product you can buy or even better, make yourself. The fact is that it was Native Americans who invented the chemical leavening that is used in soda bread. They use fire ashes to lighten up their corn and grain cakes, which were then cooked over an open fire or right in the ashes themselves. This was, in effect, the first discovery of “soda” to lighten up heavy grain cake. I can’t speak for the flavour of that bread but I can just imagine it. It was in the 1750’s that cheap wheat became a staple in Ireland. The problem with Irish wheat however is that it is a “soft” wheat and doesn’t work well with yeast to raise it. Soft wheat only contains around 8-10% protein whereas breads made with wheat produced in the US is “hard” wheat and contains upwards of 14% protein. It is this protein that forms the bonds of gluten that allow the bread to raise and incorporate more air. It wasn’t until the early 1840’s that a refined baking soda was introduced to Ireland and instantly popularised Irish Brown Bread. Irish Brown (or wheaten as it is known primarily in the North of Ireland) bread is made from the whole grain of soft wheat, baking soda, either sugar, treacle or even honey for a touch of sweetness and of course the acid which is usually buttermilk or sour milk. Irish Soda Bread – that isn’t brown and it is made from the bleached grain of soft wheat. Irish Farls – this is white flour that when mixed with the traditional soda ingredients like baking soda, buttermilk, and salt is combined together and then gently rolled either flat or simply pressed flat into a round. The bread is then cut deeply into triangles and then cooked on a griddle pan. 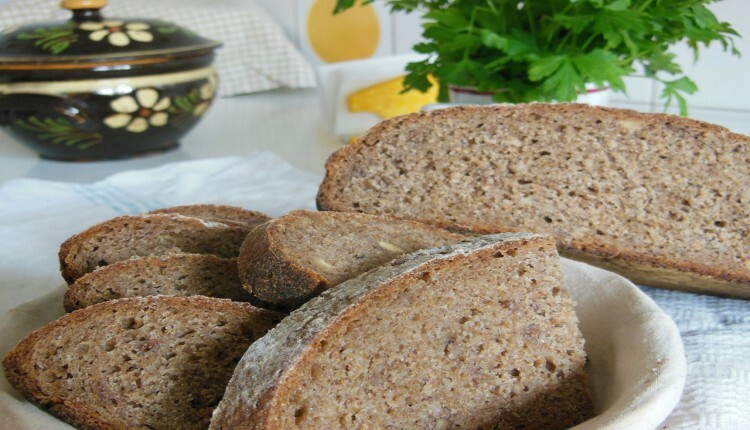 Irish Brown Bread – uses the whole grain of soft wheat combined with the usual ingredients but it is cooked in a Bastible or Dutch oven, which can be used within the fire, or oven as we do today or simple baked hung from a hook above the flames of an open fire. This bread is also deeply scored in a cross shape. Depending on which part of the country you are eating your Irish Brown bread it will be shaped differently but every area has a legend or superstition baked into the bread. In the South the cross shape that is cutinto the bread is sometimes believed to be a religious symbol but it is also said that cutting the bread allows the devil or the fairies out. Others say it makes it easier to share the bread into pieces. The deeply practical say it is to make the bread cook evenly. For many folks cooking of the bread is done simply in a loaf pan and that is the way it can be bought at the local bakery or grocery store in Ireland these days. some and it still remains very easy to make and add to your baking repertoire.